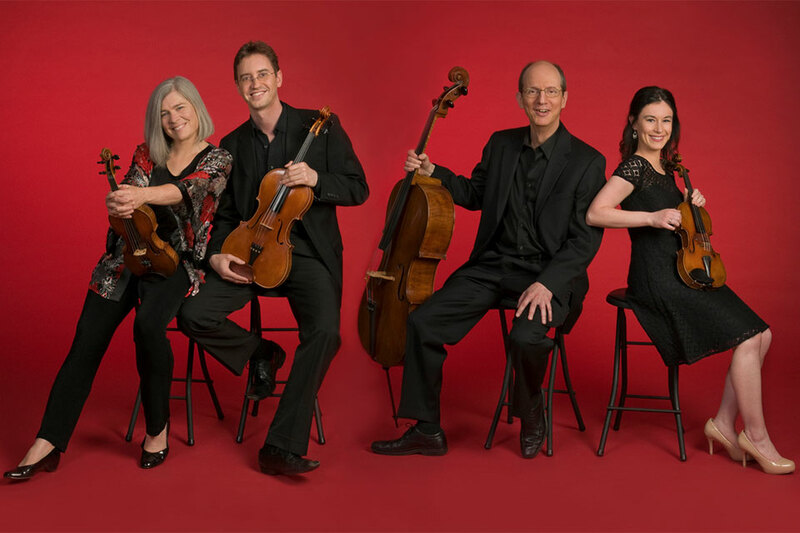 Since its formation, in 1980, the Lydian String Quartet has embraced the full range of the string quartet repertory with curiosity, virtuosity and dedication to the highest artistic ideals of music making. In its formative years, the quartet studied repertoire with Robert Koff, a founding member of the Juilliard String Quartet who had joined the Brandeis faculty in 1958. Forging a personality of their own, the Lydians were awarded top prizes in international string quartet competitions, including Evian, Portsmouth and Banff, culminating in 1984 with the Naumburg Award for Chamber Music. In the years to follow, the quartet continued to build a reputation for their depth of interpretation, performing with "a precision and involvement marking them as among the world's best quartets" (Chicago Sun-Times). Residing at Brandeis University, in Waltham, Massachusetts, the Lydians continue to offer compelling, thoughtful, and dramatic performances of the quartet literature. From the acknowledged masterpieces of the classical, romantic, and modern eras to the remarkable compositions written by today's cutting edge composers, the quartet approaches music-making with a sense of exploration and personal expression that is timeless. Saturday, May 11, 2019, 8 p.m. (preconcert talk, 7 p.m.) - NEW DATE! All events take place at the Slosberg Music Center. Purchase tickets online, by phone at 781-736-3400, and in person at Brandeis Tickets, located in the Shapiro Campus Center atrium.